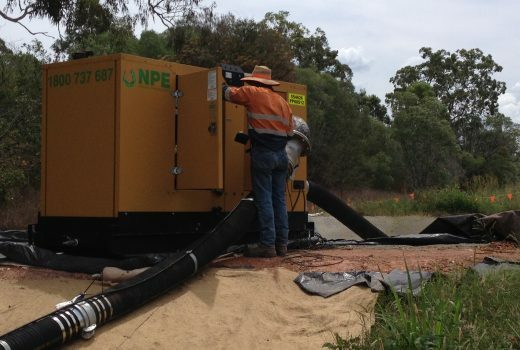 Whether you are hiring a small submersible pump for your construction site or a big high head pump for your mining operation you can benefit from this list of essential tips for choosing a pump hire company. If you didn’t know much about engines you wouldn’t service your own car, right? You’d take it to a mechanic so that it gets done right and you can focus on doing what you know how to do. The same goes for choosing your pumping equipment from a pump hire company. The smartest way to get a package that is going to do the job most effectively and give you less headaches is to have it done by a pump expert. There are a lot of variables and unknown obstacles when choosing the right pump to hire that can cause expensive delays and problems on your jobsite if it is done wrong, so don’t risk it. Try to use a specialist pump company whenever possible. More often than not they will be just as cheap, but you’ll be getting the best gear because they love pumps! Dealing with a dedicated pump hire company with specialists who know the ins and outs of pumping will offer many benefits and give you to access the latest and most suited equipment for your job. Use a pump hire company that not only can tell you what the best pump will be for your needs, but can explain to you how to get the most out of it. Choosing the right pump for your job is not a simple decision and the wrong one will cost you time and money, neither of which you can afford to waste. Many people think that choosing which one to use is as simple as picking up the phone and getting a pump that will move water (or another substance) from one spot to another. In essence, that’s what a suitably matched pump will do, but there is A LOT more to it than that and if you get the wrong one you will be in for a mountain of problems. Does the company have specialist pump technicians and fitters? When something goes wrong with your pumps on site you may not have the time, manpower or expertise to get it going again. Because of this, it is important that when you hire a pump you have the peace of mind that if you need assistance the hire company has trained and competent technicians available to deploy to site and get things flowing. Has the company supplied pumps for similar jobs? Just like when you are choosing a tradesman, you want to know that they have experience doing to job. For instance, when choosing a concreter to do your driveway you may look at their previous jobs so that you are confident that they can lay a good quality driveway. This should be just the same when you are choosing a hire pump supplier. Do your research as to whether the company has worked in the industry before, whether they have been successful with what they have done and whether they have the ability to provide the best equipment for the job. Put all this together and you know you have a winning mix! So there you go, follow these important tips and your next pump hire experience will flow nicely.